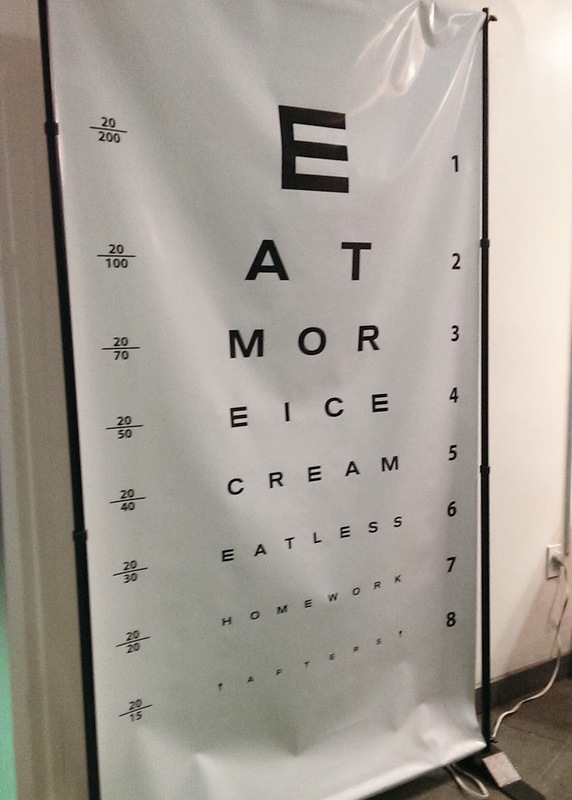 "Eat more ice cream." Yes, please. 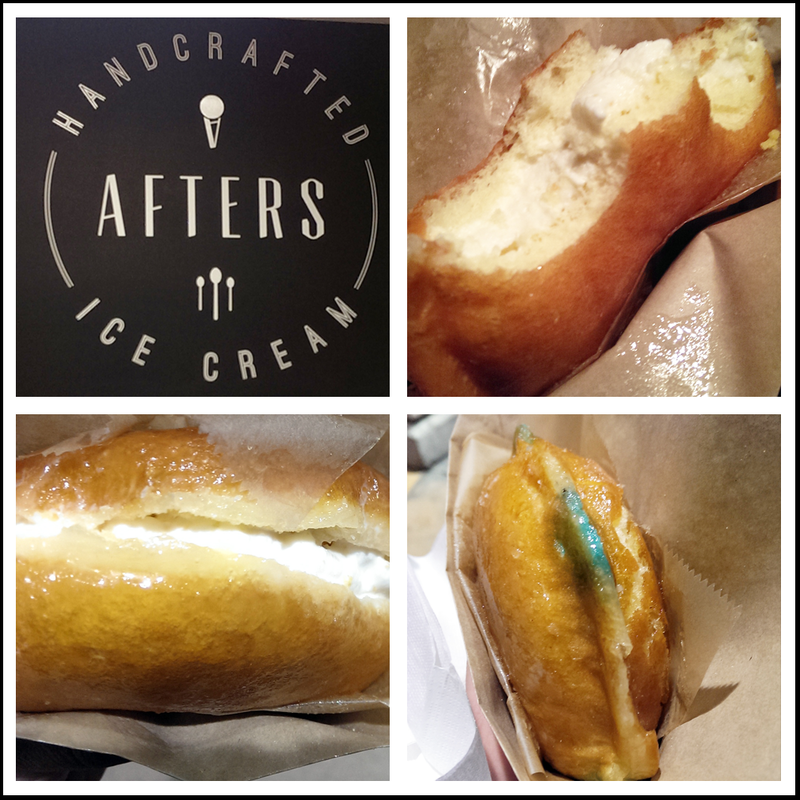 I read about Afters right after it opened last month. Doughnuts and ice cream? Why not. I'll eat just about anything on a doughnut. At the OC Fair, my favorite thing to order is a Krispy Kreme chicken sandwich. 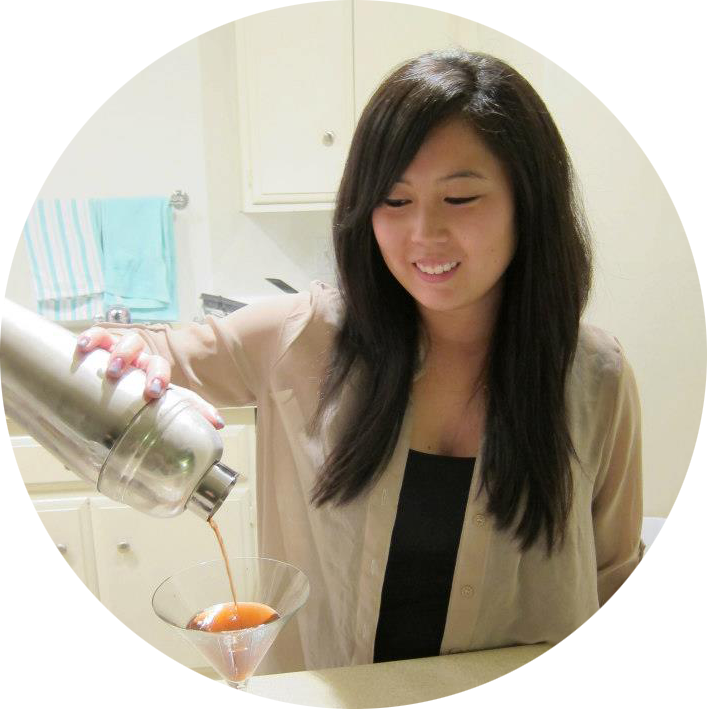 In less than a month, there's been almost 300 reviews on Yelp (including mine). It's rated at four stars, so of course I had to go check it out. A friend once told me that Asians are always the first to flock to new fads/trends. So true. Every person in line, except Brian, was Asian. He, of course, didn't understand why I needed to have this life-changing ice cream doughnut right NOW, so I basically dragged him there. Forty-five minutes later, we had glazed milky buns in hand, stuffed with handcrafted ice cream. I've been on a diet, so I actually skipped dinner for this. Unhealthy, I know, but worth it. There were so many flavors. Churro, Vietnamese coffee, jasmine milk tea, cookie butter, almond cookie ... try as many as you want. They're (mostly) all good. Tip: Skip the cookie monster. That color of blue is just way too much. 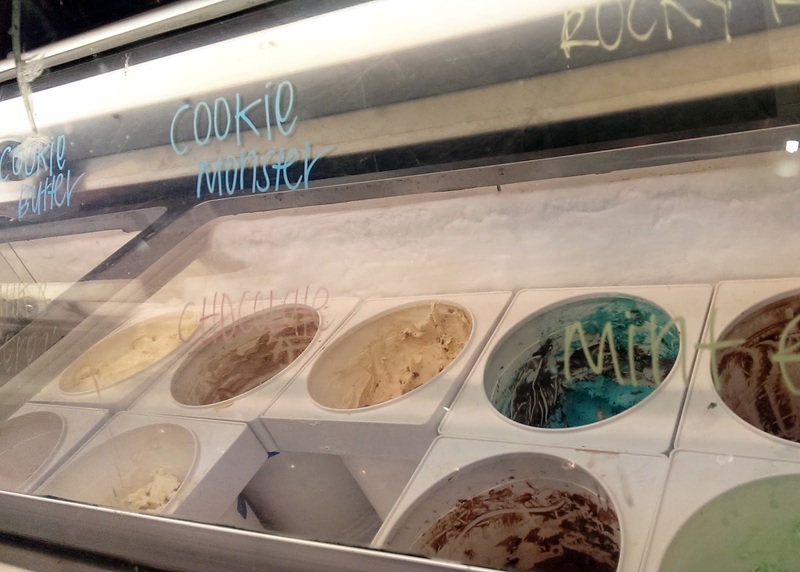 Besides the whole trend factor, it's a pretty decent ice cream place. Go. You won't regret it.